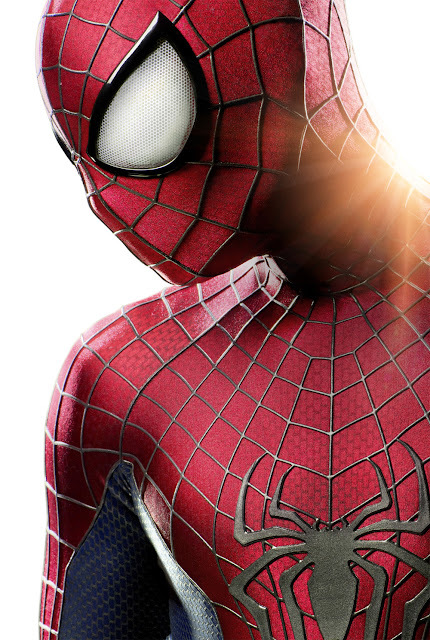 Sony Pictures has revealed the first image of the new Spider-Man costume in the upcoming “The Amazing Spider-Man 2”. As Marc Webb, the film's director, promised last November, the costume features much bigger eyes and a number of alterations to color and texture. This is arguably the closest any of the films have come to matching the design from the comics. In the sequel to last year's hit, Peter Parker's (Andrew Garfield) life becomes complicated – between taking out the bad guys as Spider-Man and spending time with Gwen (Emma Stone), graduation can't come quickly enough. Things will change for Peter when a new villain, Electro (Jamie Foxx), emerges and an old friend, Harry Osborn (Dane DeHaan), returns as Peter uncovers new clues about his past. Have a bigger look of the costume after the break. Opening across the Philippines on May 2014, “The Amazing Spider-Man 2” is distributed by Columbia Pictures, local office of Sony Pictures Releasing International.